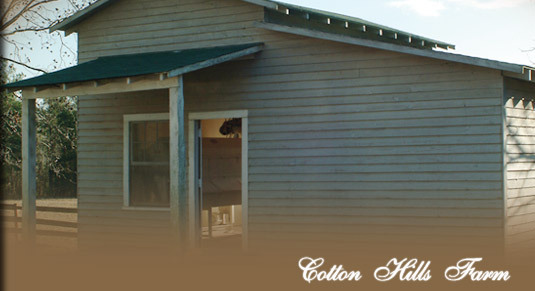 Cotton Hills Farm has operated continuously since 1882 when the original 100-acre homeplace was given to Theodosia Abell Wilson as a wedding present. Our corn is grown in York and Chester Counties from seed that has been handed down in the family of Carol Burris Wilson for over seventy-five years. Now we proudly grow Burris Prolific on our farm. There is no genetic modification of this corn. The corn is ground on a 1905 stone mill which permits us to leave the "germ" or heart of the corn—thus giving you all the vitamins, nutrients, and flavor available. We immediately hand pack to assure freshness. We, the Wilson family, are proud of our product and want you to enjoy an old southern favorite.